Save money by checking out new movie releases from the library. There is no cost unless you return them late. (Late fees are $.50 per day per video with maximum fine $5 each). DVD's may be checked out for 2 days (if checked out on Thursday can return on Monday). Renew for 2 more days by calling the library or using your online account. 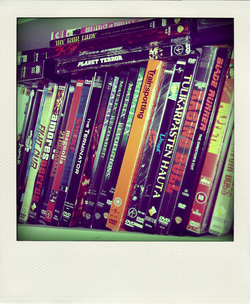 We welcome your donations of gently used DVD's to add to our collection. 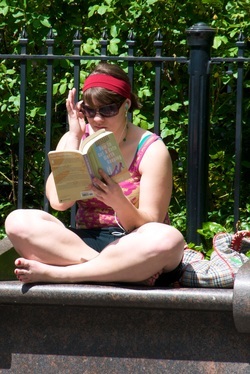 Summer is the perfect time to catch up on your reading while you catch some sun! New books arrive at the library each week. Check out the magazine page for a list of the periodicals the library currently subscribes to. If you subscribe to a magazine not listed here, please consider donating your monthly issues to the library after you've read them. Thank you to those who are donating American Hunter, American Rifleman, Real Simple, Reader's Digest, Smithsonian and Mother Earth News. We appreciate you!